Yesterday, we regaled you with a definitive list of the 15 best sneaker brands that have popped up over the last decade. We regret to report we already have an amendment. And luckily for New Yorkers, you can see that amendment in the flesh. Immediately. 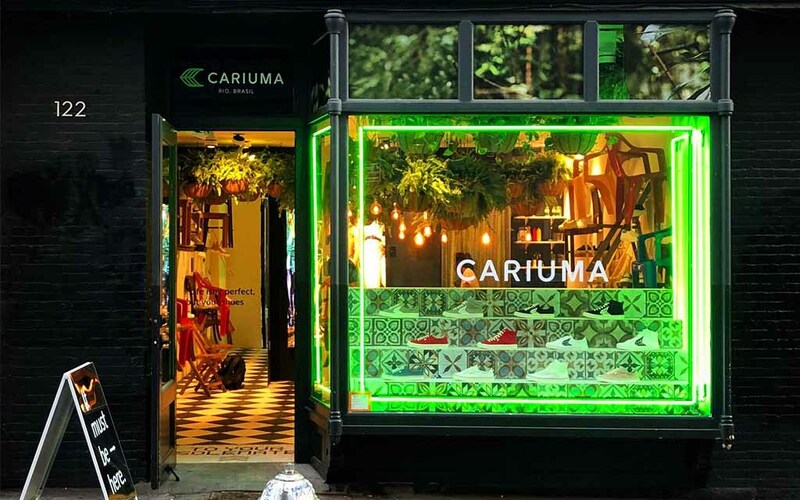 Brazil’s Cariuma just set up a temporary shop/hangout space in Soho, bringing with them a collection of kicks that recall the golden age of skate culture. Stationed at 122 Prince now through October 29th, Cariuma aims to evoke the welcoming vibes of carioca — a catchall word referring to anything that hails from Rio de Janeiro. In practice, that means you should think of their space as less of a sneaker shop and more of a sneaker bar, with music, refreshments and plenty of room to lounge and converse. It’s a lofty concept, especially for a pop-up. But they pretty much nailed it. The collection itself is stylish but sensible, combining vibrant colorways with timeless, skate-inspired silhouettes. They’ll have you cheating on your trusty Vans or Converse in no time, trust. 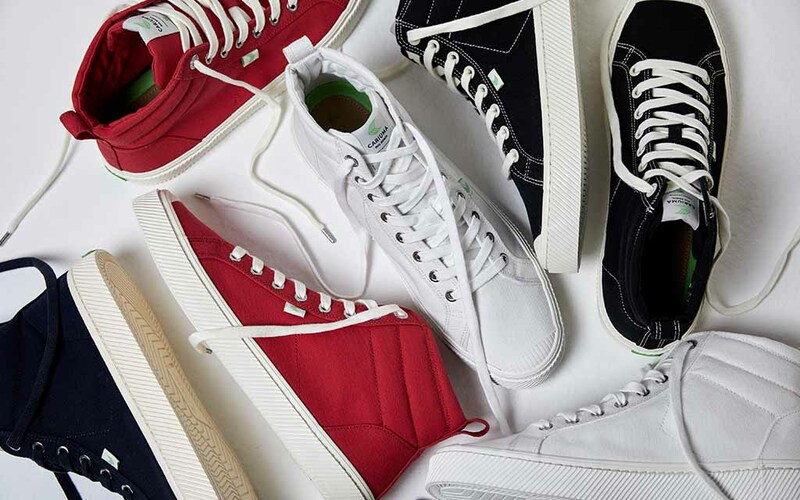 “Our product angle is simple: We believe that cool and comfort should always be paired together, and that well-crafted premium sneakers don’t have to be expensive,” says Cariuma co-founder Fernando Porto. 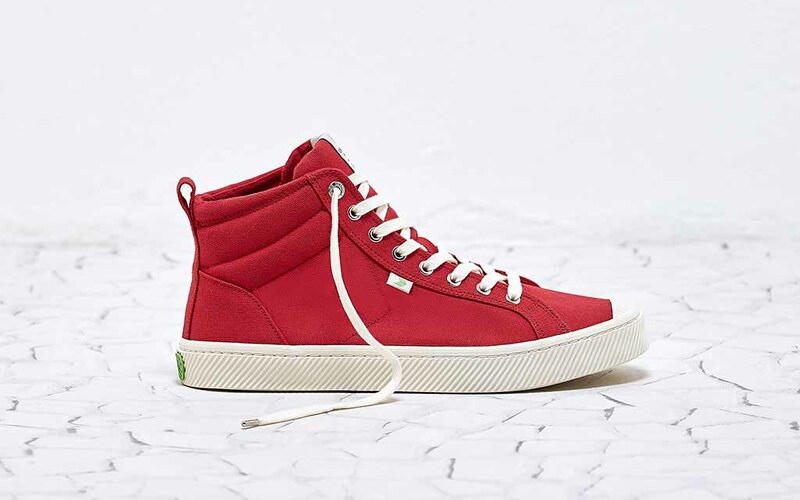 Right now, that equates to three silhouettes in canvas or leather with vulcanized rubber soles: the Oca High (compare with the Vans Sk8-Hi), the Catiba Low (think Adidas Stan Smith) and the Oca Low (thinks Vans Authentic meets Chuck Taylor). Take note that while the shoes are good at any hour, the pop does keep hours — 10 a.m. to 7 p.m., to be exact. But pull up a chair and stay while. “Agora você é agora um de nós,” they’ll say.